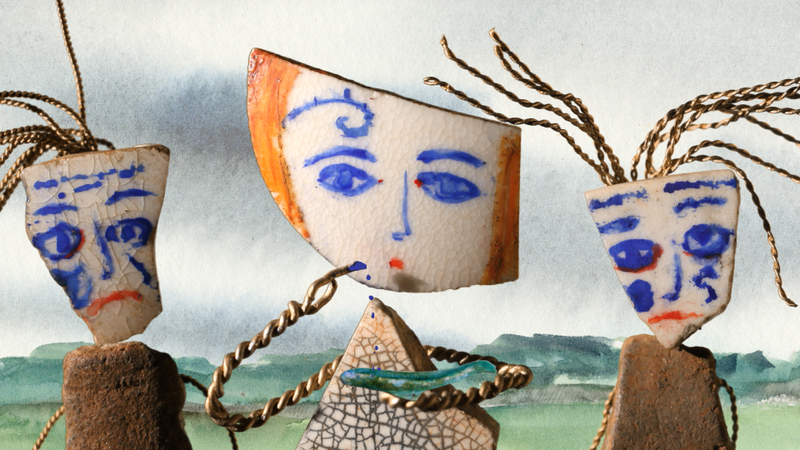 I have nearly finished all the animation for my Boudica Film for Norwich Castle. It has been such good fun. Hopefully in about one week I will be able to do the final edit and sound. Fingers crossed. To go on with, is a still of Boudica putting on her woad before her final battle. Quite a fiddly job. Repainting her face which is only about 2 centimeters across, for each frame of animation. Although her face doesn’t move for all scenes luckily. Boudica’s daughters bodies are made from broken iron age pottery from Norfolk. This entry was posted in Animation, Art, Boudica, Stop Frame, Watercolour and tagged boudica, Emma Calder, norwich-castle, woad on October 22, 2013 by admin.